Everyone knows the power of a first impression, and the first face-to-face opportunity you have to exceed your client’s expectations is when they arrive at your office. The environment that they encounter can either enhance their impression, confuse their understanding of your company or worse… it could downright disappoint them. 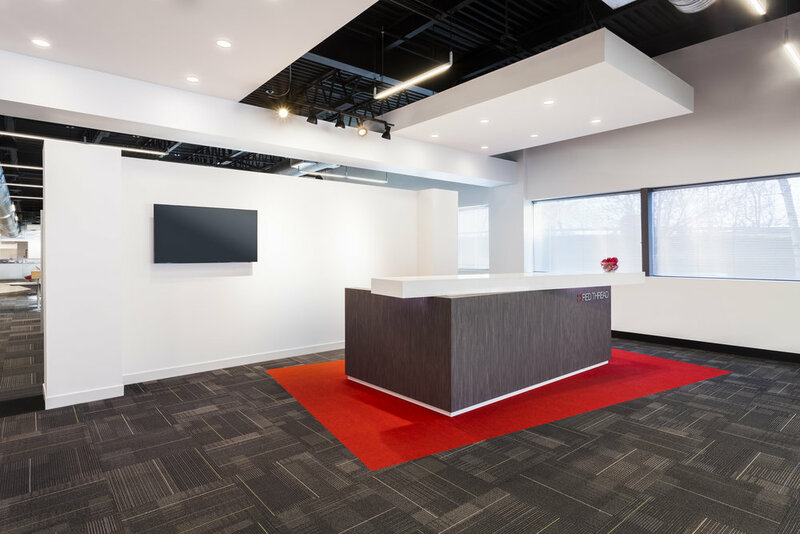 When it comes to office design, we know that the one element that has the most impact on the first impression of clients, patients, employees and the general public is the reception desk. As they enter the office, this first opportunity for interaction becomes an important touch point for your brand. Your office could use state of the art technology and offer the highest quality of services, but if your reception desk is outdated or in need of maintenance your client will form their opinion based upon their observations. This design element is an opportunity to differentiate your office and reinforce your brand identity. At Phase Zero Design we have been fortunate to have clients that understand the importance of the reception desk and its impact. Early in the design process we work with our clients to understand who they are and how they want their office to portray the identity of their company. Are they a cutting edge facility that showcases advanced technology? Are they a well-established entity that wants to emphasize their stability and longevity? Are they down to earth, and causal and they want to present their relatability to their customers? We use this information to generate the overall design concept that will be incorporated throughout the space. When designing the reception desk, we take special care to ensure that this concept is front and center and featured in each component of their reception desk. Fortunately a well-designed reception desk doesn’t need to be costly as long as it is in line with how you want to portray your brand. The location, scale, and material selections are just a few of the tactile elements that play a role in the client’s initial reaction. However, it’s not all about the aesthetic, the functionality of a well-designed reception desk will also allow your office to operate smoothly. For any corporate office, it is important to understand the number of people being welcomed throughout the day, and designing a space that allows for optimal use of the space. If there are over 100 guest circulating through the space on any given day the design will be significantly different than if there are 10-15 guest per day. For high volume spaces the reception desk needs to be designed for efficiency; providing separately designated location for checking in and checking out can increase staff productivity which can impact wait times and therefor increase guest satisfaction. I tend to refer to reception desk design as “the fun part!” It exciting for me to be able to translate the entire concept of a client’s office into one single design element. Designing a reception desk that balances these elements; brand identity, aesthetics and operational functionality is key a first impression that will exceed your client’s expectations.